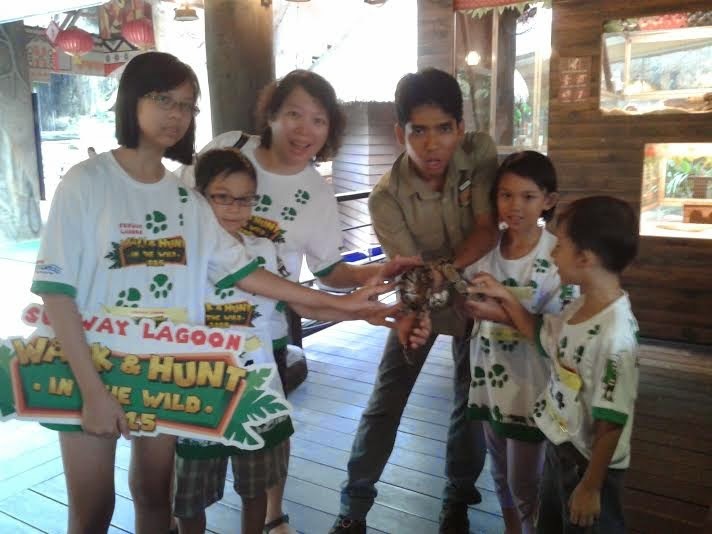 Walk & Hunt in the Wild was Sunway Lagoon's first ever event where more than 500 Malaysians from all walks of life include me and my Little Angels took part in an energetic morning walk around Sunway Lagoon, followed by an exciting wildlife-themed treasure hunt challenge which me and my Little Angels enjoyed it so much together with the teams of 4-6 members on a beautiful Sunday morning ! Held for the first time in Malaysia, the event aims to educate the public about wildlife as well as promote togetherness among family and friends. Host of activities and challenges throughout the first half of the day. Sweet and Harris, the hosts of Malaysia's leading children's edutainment show also joined in the fun by taking part in the event. 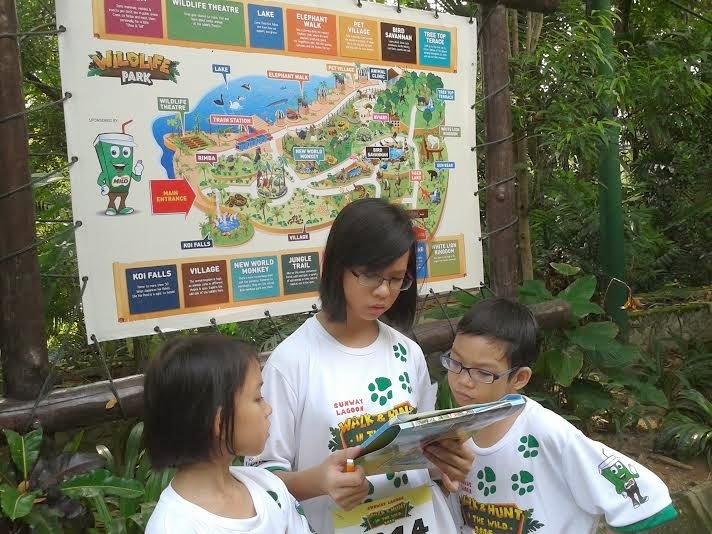 It was a fun day out and all of us had learnt new facts about the animals in the Wildlife Park. "We are excited to be the first to host such and event with two unique activities that promote the importance of maintaining a healthy lifestyle and unity among fellow Malaysians. 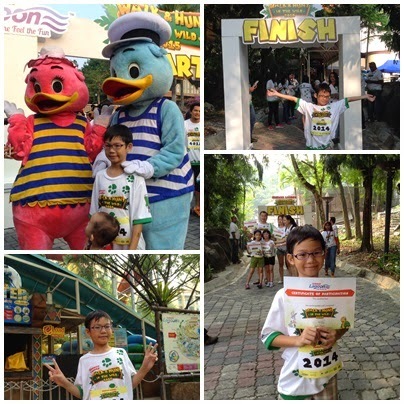 Every other day including today, the fun never stops at Sunway Lagoon and we are glad to see everyone from all walks of life coming here to be part of the event, to have fun and to gain extra knowledge through our attractions, especially at the newly refurbished Wildlife Park," said Mr Sean Choo, General Manager of Sunway Lagoon. 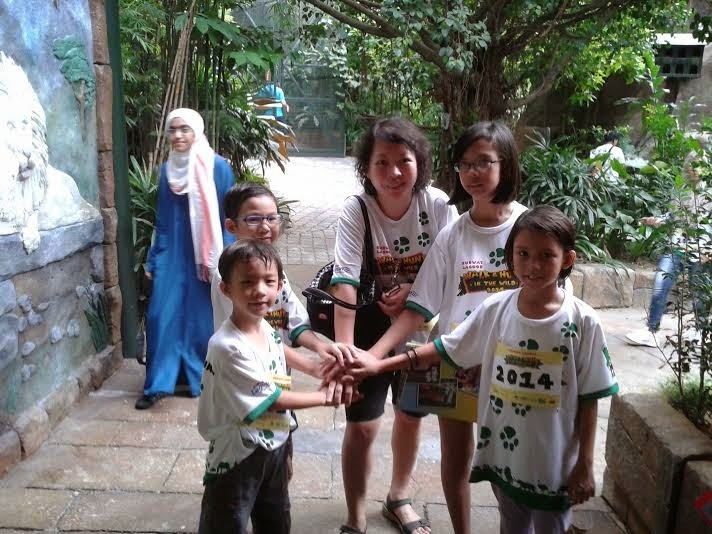 Adding on to the excitement, Sunway Lagoon has also re-launched its Wildlife Park with Puan Noorul Ashikin Binti Mohd Din, General Manager of Tourism Selangor, who was present at the event. 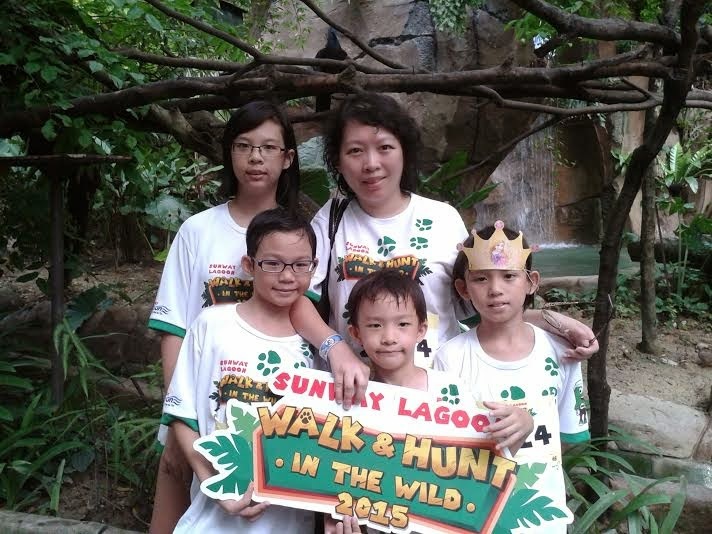 Puan Noorul Ashikin commented, "I'm honoured to be part of the re-launch of Sunway Lagoon's Wildlife Park which hosts various species of exotic animals. I believe that with the refurbished Wildlife Park in Sunway Lagoon, this will continue to attract visitors locally and globally to the theme park as well as promoting Selangor as one of the tourism destinations in Malaysia." 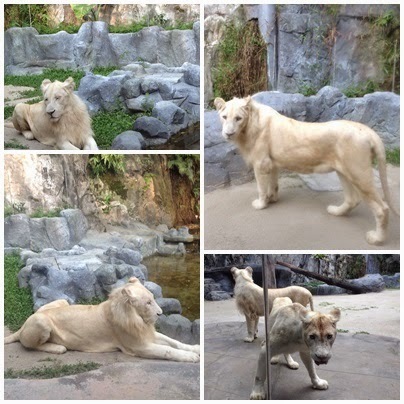 Sunway Lagoon's Wildlife Park is Malaysia's first fully interactive as well as educational park which is home to more than 150 species of exotic animals with more than 80 species-specific exhibits of exotic, small and friendly animals, a diverse range of birds, fishes, reptiles and mammals. There are also new additions to the educational park which includes the white lions, pygmy marmoset and others.